Windows Phone 8 users can finally download the Facebook messenger app and enjoy features iPhone and Android users have been using for a while. Other than just sending messages, the app brings many more features than what the already installed Facebook app already offers. Windows Phone 8 users can now send and receive messages without having to open the Facebook website using Internet Explorer. The app also let users send stickers and photos privately, share location, see when friends have read your messages, see friends who is active on the Messenger app, receive notifications on new messages. Messenger is just like texting, but you don’t have to pay for every message (it works with your data plan). 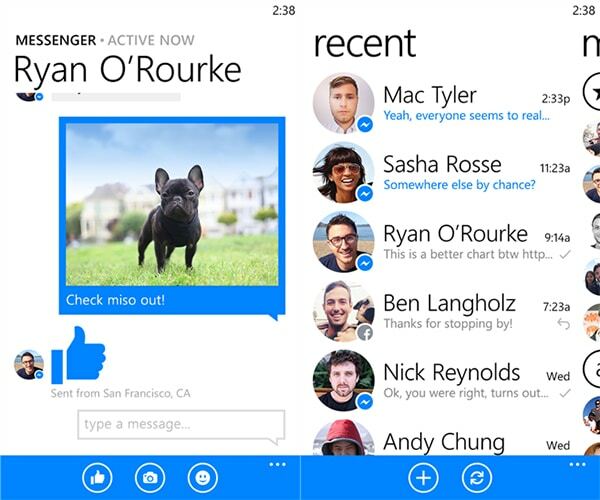 You can download Facebook Messenger for Windows Phone 8 from the Windows Phone Store for free.